Dr. Johns is a Professor of Human Nutrition at McGill University. Prof. Johns is an ethnobotanist and nutritionist whose research interests focus on the traditional uses of plants for food and medicine in relation to issues of contemporary nutrition and health, the understanding of human adaptation in diverse environments and the evolutionary origins of diet and medicine. 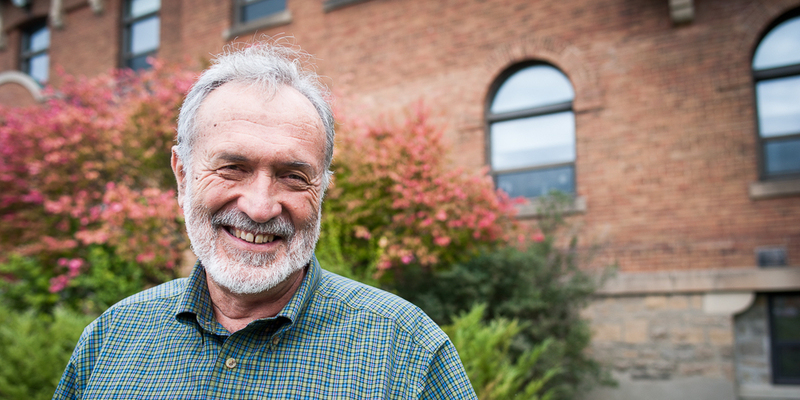 His work involves field studies with communities in Latin America, Sub-Saharan Africa and Canada in conjunction with laboratory analysis of chemical composition and medicinal properties of plants. His current work includes international policy and program activities on dietary diversity that seek to strengthen linkages between biodiversity conservation and nutrition and health. He is an author of over 130 peer-reviewed publications as well as three books including With Bitter Herbs They Shall Eat it: Chemical Ecology and the Origins of Human Diet and Medicine (University of Arizona Press).Dr. Johns graduated in Biochemistry from McMaster University and completed a Master’s degree in Botany from the University of British Columbia. He obtained his Ph.D. in Biology from the University of Michigan before carrying out postdoctoral work at the University of California Berkeley. He is a member and former Director of the Centre for Indigenous Peoples' Nutrition and Environment at McGill. He is a Past-President of the International Society of Ethnobiology and the Society for Economic Botany. Dr. Timothy Johns is a nutritionist and ethnobotanist whose research interests focus on the traditional uses of plants for food and medicine in relation to issues of contemporary nutrition and health, the understanding of human adaptation in diverse environments and the evolutionary origins of diet and medicine. His work involves field studies with communities in Latin America, Sub-Saharan Africa and Canada in conjunction with laboratory analysis of chemical composition and medicinal properties of plants. Tufts HR, CS Harris, ZN Bukania, and T. Johns. 2015. Antioxidant and anti-inflammatory activities of Kenyan leafy green vegetables, wild fruits, and medicinal plants with potential relevance for kwashiorkor. Evidence-Based Complementary and Alternative Medicine. Article ID 807158, 9 pages. Bukania Z, M Mwangi, RM Karanja, R Mutisya, Y Kombe, LU Kaduka, T Johns. 2014. Food insecurity and not dietary diversity is a predictor of nutrition status in children within semiarid agro-ecological zones in Eastern Kenya. 2014: 907153. Powell, B, A Ouarghidi, T Johns, MI Tattou, P Eyzaguirre. 2014. Wild leafy vegetable use and knowledge across multiple sites in Morocco: a case study for transmission of local knowledge? Journal of Ethnobiology and Ethnomedicine. 10:34. Harris CS, Lamont E, Cuerrier A, Haddad PS, Arnason JT, Bennett SAL, Johns T. 2014. Investigating wild berries as a dietary approach to reducing the formation of advanced glycation endproducts: Correlation with in vitro antioxidant activity. Plant Foods for Human Nutrition. 69:71-77. Shumsky, S., G. M. Hickey, T. Johns ,B. Pelletier and J. Galaty. 2014. Institutional factors affecting wild edible plant (WEP) harvest and consumption in semi-arid Kenya. Land Use Policy 38: 48– 69. Powell, B, P. Maundu, H.V. Kuhnlein, T. Johns. 2013. Wild foods from farm and forest in the East Usambara Mountains, Tanzania. Ecology of Food and Nutrition 52: 451-478. Powell, B., J. Hall and T. Johns. 2011. Forest cover, use and dietary intake in the East Usambara Mountains, Tanzania. International Forestry Review 13(3):1-13. Bélanger, J, M. Balakrishna, P. Latha S. Katumalla, T. Johns. 2010.Contribution of selected wild and cultivated leafy vegetables from South India to lutein and b-carotene intake. Asia Pacific Journal of Clinical Nutrition. 19 (3):417-424. Owen, P.L., L.C. Martineau, D. Caves, P.S. Haddad T. Matainaho and T. Johns. 2008. Consumption of guava (Psidium guajava L.) and noni (Morinda citrifolia L.) may protect betel quid-chewing Papua New Guineans against diabetes. Asia Pacific Journal of Clinical Nutrition. 17(4): 635-643. Johns, T. and P.B. Eyzaguirre. 2006. Linking biodiversity, diet and health in policy and practice. 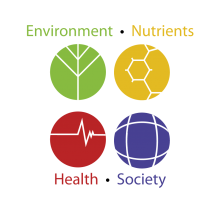 Proceedings of the Nutrition Society. 65:182-189. Johns, T. and B.R. Sthapit. 2004. Biocultural diversity in the sustainability of developing country food systems. Food and Nutrition Bulletin. 25:143-155.